F.A.N.G. 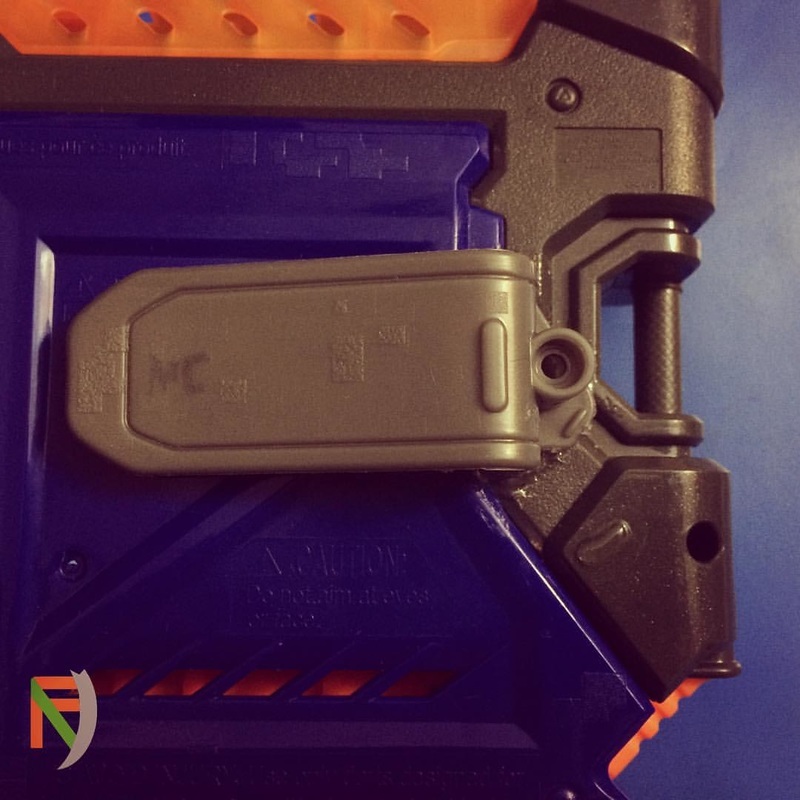 Tip: Add a Belt Clip to your Nerf Crossbolt! Time for a simple Nerf Crossbolt mod, in which we attach a belt clip (in this case from the Sharpfire) to the rear area of the blaster. Although it is a small addition, it is also a useful one which allows you to use the blaster as a “holstered” sidearm! It is attached with glue and nails inserted through the three previously drilled holes and up into the belt clip! F.A.N.G. Tip: Improve your Nerf Doublestrike! FIC Quick Mod Trick: Many of us are familiar with the biggest problem affecting the Nerf Zombiestrike Doublestrike. The pull slot for the priming "hammer" is too long, making it possible to accidentally pull back too far and eject one or both darts from the front of the blaster. Many modders resort to filling the unnecessary length of the priming slot with any kind of material, and, while this works, it does not utilize the full potential of this very interesting problem. A much better alternative is to add a thin piece of material, such as a tiny cut portion of a popsicle stick or tongue depressor, to the top portion of the trigger using an adhesive such as hot glue. This will force the hammer to utilize all of the available pull space. Now, the problem of accidental dart ejection has been solved, and the blaster has a little more power! When Nerf gives you defects, you turn them into upgrades! F.A.N.G. Tip: Listen to Music! 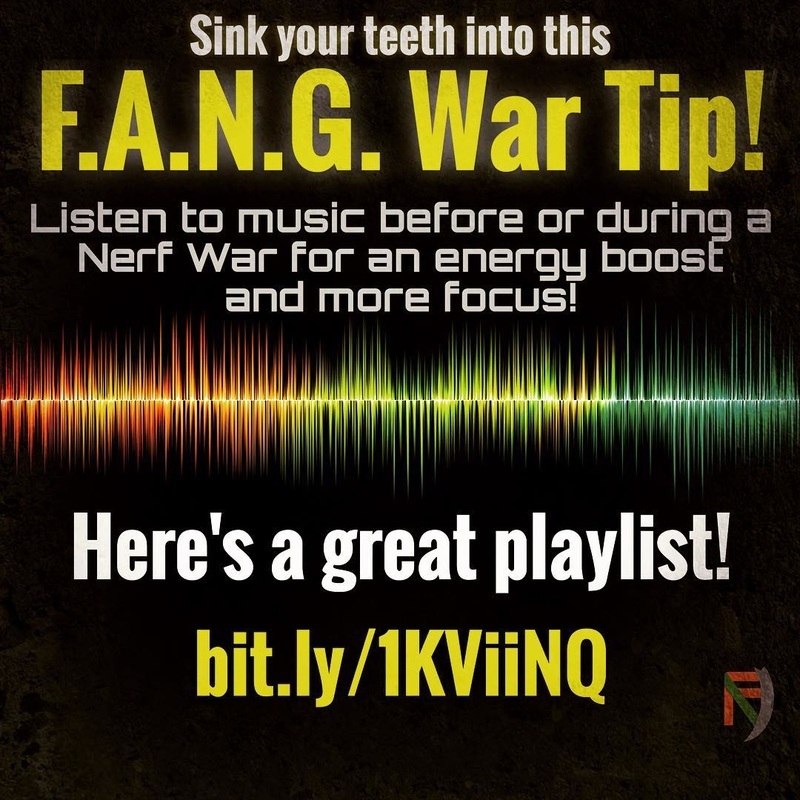 We've started compile a great YouTube playlist of great songs to help you up your foam dart game! Find it here! 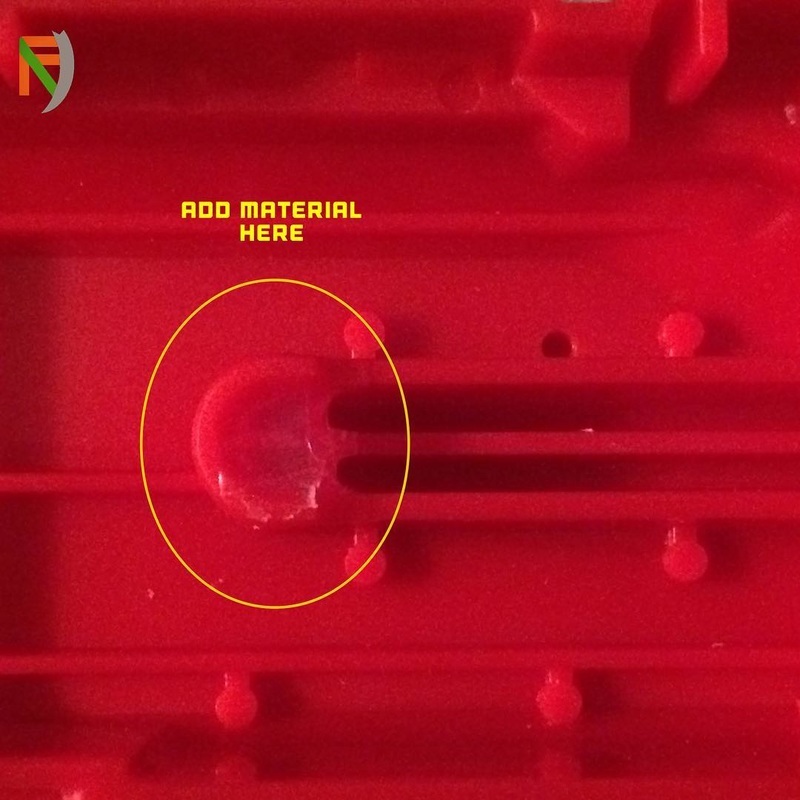 Having trouble with your nerf cycloneshock not priming/catching correctly? Sources indicate that this is a common problem. No worries, there is a simple solution! 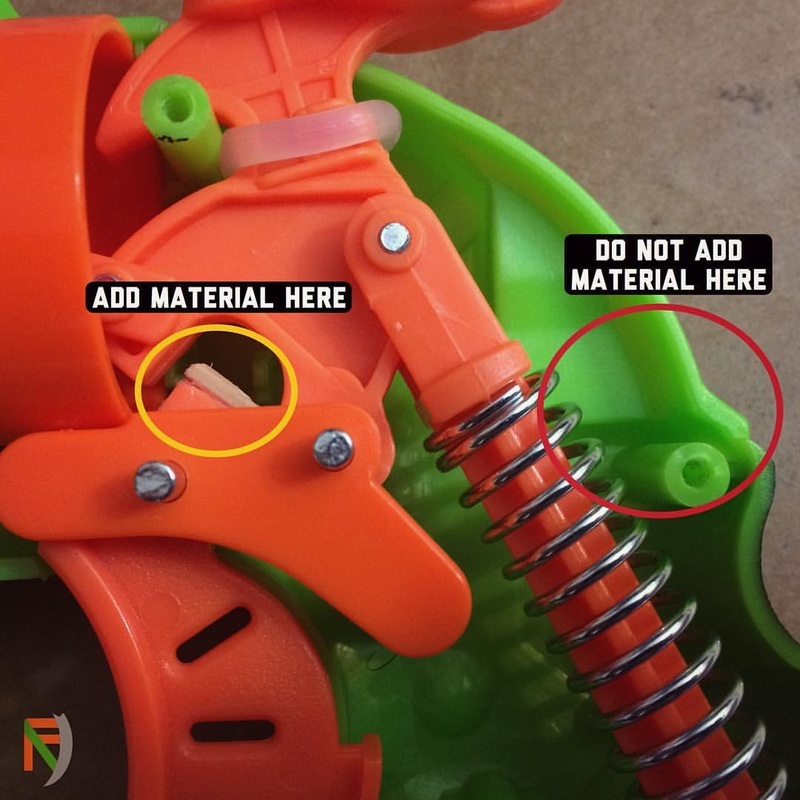 Simply add a small amount of material in the slots in both halves of the priming slide where the plunger rod goes, (as in the picture) and the issue will be resolved! You don't even have to take apart the entire blaster! The official logo of our team! Welcome, foam dart warriors, to the official F.A.N.G. website! 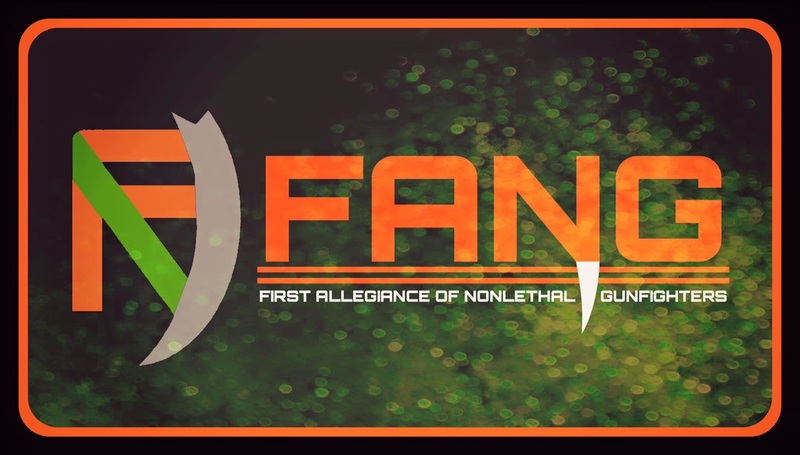 After almost three months of extensive updates, the First Allegiance of Nonlethal Gunfighters (F.A.N.G) is once again online with a newly remodeled website! Our old organization, the NK3AE (NerfrocK' 3rd Army Elite) and its original webpage, is no longer in use, as we have dissolved our previous structure and rebuilt ourselves as something new and even more exciting! Read more about why we've changed and where we came from here. Like the team itself, our new website is jam-packed with new and amazing features! There are now even more opportunities to get involved and become an expert foam dart warrior. You can reach us much more easily via our new and expanded social media presences, and you can learn about the fascinating and enriching world of foam dart combat and blaster modifications. All of this and much more is now possible, with over 30 new F.A.N.G. features! All F.A.N.G. team news, updates, and more can be accessed here. Updates are written solely by the administrative team of the F.A.N.G. unless noted otherwise. Posts are archived by month, and can be accessed for a limited time via the links below. All Rights Reserved. All images are the property of, and were taken, edited, or made by, the First Allegiance of Nonlethal Gunfighters (F.A.N.G.) and Mitch Rand, unless noted otherwise.